Scuba diving is quickly becoming a popular holiday activity for many. I know a lot of avid travellers who have gotten into scuba diving – and diving in general – over the last few years. Scuba diving is not only fun, but also very healthy thanks to its nature. Besides, there are so many great diving sites to visit around the world; who would want to miss those gorgeous underwater sceneries? One of the best places to visit if you want to go scuba diving is the islands of Malta and Gozo. The destination has a diving spot for everyone, including those who are completely new to the experience. Here are some of the details you need to know about scuba diving in the amazing islands of Malta and Gozo. Let’s start with how to get to Malta. The archipelago is such a popular travel destination that you can now fly to Malta from virtually anywhere in the world. There are flights from most major cities every day. We also have Malta’s own national airline, Air Malta, catering to international travellers from around the world. You can also choose to fly to Italy, and then take the ferry from Sicily to Malta. Many cruises will also take you to this gorgeous archipelago, but you may not be able to spend as much time if you take cruises such as the Royal Caribbean and the Norwegian Cruise Line. Once you’re in Malta, you can get around the islands using small boats or ferries. Buses and other public transportation are also available throughout the islands, so you can go to the towns or visit different resorts without a problem. There is a lot to enjoy on the islands of Malta and Gozo, from the lively night scene to beautiful sites such as the Ġgantija in Gozo. There is a lot to enjoy on the islands of Malta and Gozo. First of all, there are operators such as Atlantis Gozo offering stunning packages for everyone. You can even train for your diving license here in the islands. There is also the fact that you can find so many beautiful diving spots as you explore the islands. You can visit sites such as the infamous Blue Hole in Gozo, the gorgeous Qawra Reef, or the more challenging Blenheim Bomber in Xorb il-Ghagin. The latter is actually more for experienced divers, since it takes you on an adventurous, 42-meter dive to the site of the World War II planes. The Valetta Harbour is also home to the wreck of HMS Maori, which is only 16 meters from the surface. Of course, we can’t talk about diving sites in Malta and Gozo without talking about The Wreck of the Um el Faroud. The site is specifically prepared to be a diving attraction. It is even regarded as the best wreck dive in the Mediterranean. The reefs near this site are just as beautiful to behold. 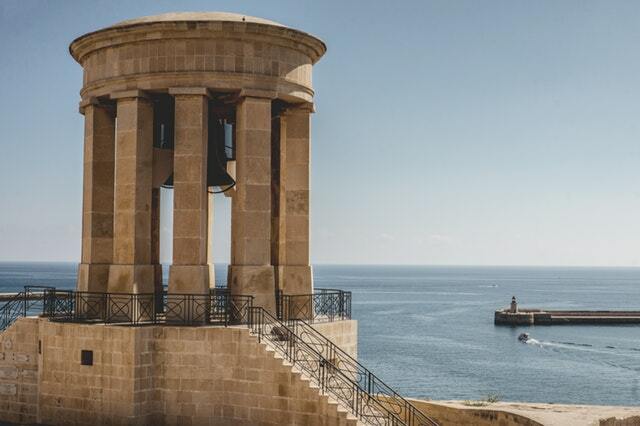 Malta is great to visit all year, but there are a few tips you want to keep in mind to make your trip to the islands even more memorable. For starters, always prepare at least two to three days. There are a lot of things you can do in this archipelago and a minimum of two days is needed if you want to sample the best of Malta. Lastly, take advantage of tours and packages. Malta is the kind of place that lets you really relax, so the last thing you want is dealing with the hassle of traveling. Organise everything before the trip and you will be able to enjoy this charming archipelago even more.